Latest News | ACRES - Active Citizens for Responsible Sustainability, Inc. 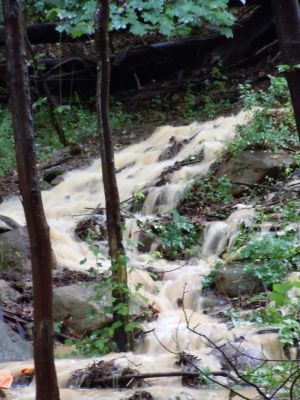 In a natural watershed (with 0% impervious surface), ground water infiltration is 50%, but as development increases, impervious surface penetration decreases ranging from 42% infiltration—in low density development to areas—down to 15% infiltration in urban watersheds. Pocket woodlands take on a different character depending on the season. How ‘green’ is your yard? ‘Jersey Yards’ state-wide garden initiative can help. ACRES applauds this state-wide, Ocean County, NJ-based public education landscape gardening campaign. As you plan changes to your greenscape this year, consult a powerful website tool at: http://www.jerseyyards.org/ for sustainable ideas. Big shout out to The Barnegat Bay Partnership, The New Jersey Department of Environmental Protection, and the Ocean County Soil Conservation District for their multi-year effort to create an environmentally informative, easy-to-use website for improved private and neighborhood planting beds and landscapes that promote non-invasive, water-wise plant species selections. ACRES is pleased to present the 2017 Franklin R. Myers Scholarship to Graham Brady, a Bernards High School graduating senior pursuing a degree in Environmental Studies at Pitzer College in the fall. The award was presented at the Bernards High School Awards Assembly on June 13. The $500 scholarship was established in 2015 to honor the memory of the late esteemed educator and conservationist, Franklin R. Myers. For over thirty years as a biology teacher at Bernards High School, this visionary educator inspired and motivated a generation of students in conservation, land stewardship and wildlife management principles. As creator of New Jersey’s first-in-state living laboratory, the BHS Nature Trail and Wildlife Sanctuary on the school’s six-acre pocket woodland, Franklin Myers’ passion for teaching and preserving the environment encouraged young minds while serving as a role model for the community. Graham Brady achieved outstanding academic performance and demonstrated leadership and commitment to his school and community through his four years as Assistant Senior Patrol Leader for Troop 150 of The Boy Scouts of America. His two and half month Eagle project, planning and constructing a 220 foot path and arbor at his elementary school, provides students with an outdoor classroom for interdisciplinary learning. Serving as a role model to younger Scouts, Graham participated as a Crew Reporter in an 86-mile, twelve day backpacking trek at Philmont Scout Ranch with the Boy Scouts. The following year, he individually participated in a demanding 200 mile, twenty-one day backpacking trek at Philmont, using his outdoor and creative problem-solving skills. As founding member of the Bernards Jazz Quartet, Graham played his tenor saxophone for multiple community events, engineered live/studio recordings, managed finances and assisted younger musicians in the high school and community. Additionally, Graham participated in his church’s Music and Eucharistic Ministries. ACRES is delighted to award the 2017 Franklin R. Myers Scholarship to Graham Brady. For more information on this scholarship and other ACRES’ initiatives, visit the website at www.acresinfo.org. ACRES, Active Citizens for Responsible Sustainability, Inc. is pleased to announce it has been granted 501(c)(3) tax exempt status as a non-profit organization by the Internal Revenue Service, effective April 12, 2013. Small, neighborhood pocket woodlands, especially in New Jersey–the most-densely populated state–create wildlife corridors, are a critical part of our local watersheds, and provide habitat for flora and fauna. ACRES’ concern is that development continually fragments these parcels, threatening critical buffer areas. ACRES maintains that human need for development can co-exist with sound environmental stewardship. ACRES’ initial efforts began with the Bernards High School lower athletic field ‘regrading’ project. 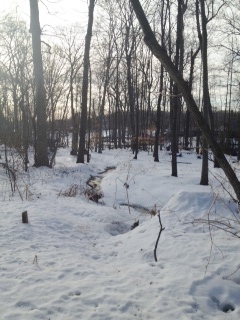 ACRES involvement, in part, resulted in a stream designation, woodland buffers and a stormwater management system. For full project chronology, see our website. ACRES has come a long way in over a year. We look forward to playing a part in New Jersey’s environmental future. ACRES thanks its supporters for their ongoing commitment to sustainable and responsible land use. To find out how to contribute to ACRES, go to http://www.acresinfo.org or write us at P.O. Box 555, Bernardsville, NJ 07924. All contributions are tax deductible. For a complete chronology of the news, click HERE.